In the Eastern part of Java, Giri-Gresik emerged as a leading Islamic state as well as an important port in the international trade network. Tome Pires described Giri-Gresik as “the jewel of Java in trading ports” (1944: II, 193), indicating its crucial importance as a trade centre and at the same time a major centre of Islam. Giri had been the site of Sunan Giri, a leading ‘ālim and one of the nine walis of Java, who then became the ruler of Gresik. Thus, Giri-Gresik developed as a kingdom with the ‘ulama as the rulers (priester-vorstendom). This kingdom reached its high point under the reign of Sunan Prapen (+1548-1605) (de Graaf and Pigeaud 1974: 187-8). During this period, Giri-Gresik became the centre of Islamization in the eastern part of the archipelago. Lombok in Nusa Tenggara, Makassar in South Sulawesi, and Hitu in Maluku were some of areas under the Islamic influence of Giri-Gresik (de Graaf and Pigeaud 1974: 190-2). Giri-Gresik’s location in the eastern part of Java provided Sunan Prapen with the opportunity to consolidate his religion-based political power. 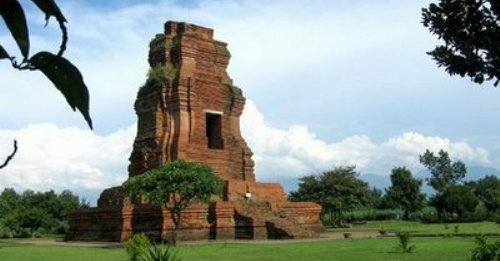 This was because even though the kingdom of Mataram had begun to emerge as a strong political centre in Java, its geographical location in Central Java did not have an important impact on the religious and political domain of Giri-Gresik. Kudus, another Islamic kingdom of the same period as Giri-Gresik, did not share the same fortunate circumstances at Giri-Gresik. The efforts of Ja‘far Sidik—also known as Sunan Kudus, another of nine walis—in establishing Kudus as an Islamic kingdom as well as an Islamic centre, were not as successful as the efforts of Sunan Prapen in Giri-Gresik. Kudus enjoyed becoming a “holy city”, denoting its central role in the studies of Islamic theological doctrines (Ricklefs 2001: 43). However, its geographic location in Central Java hindered its transforming into a powerful kingdom. The rulers of Kudus had to face the expansionist policy of the increasingly hegemonic kingdom of Mataram in Central Java. As noted above, in the latter part of the sixteenth century, the kingdom of Mataram emerged in interior Java, the areas which are now Surakarta and Yogyakarta. Panembahan Senapati (r. c. 1584-1601) has been ascribed as its first ruler (de Graaf and Pigeaud 1985: 283-5). He initiatedestablishing this kingdom after Demak declined, while Pajang—another kingdom founded by the adopted son of the ruler of Demak, Jaka Tingkir—began to disintegrate. In Javanese tradition, the establishement of Mataram can not be separated from Demak and Pajang. These two kingdoms are believed to have been the inheritors of Majaphit, through which the line of political legitimacy flowed and culminated in the Mataram kingdom (Ricklefs 2001: 46). The rise of Mataram had a considerable impact on the changing political landscape of Java. The kingdom since its inception claimed itself as the only legitimate kingdom in the whole of Java. Therefore, territorial expansion, notably the coastal areas where the ‘ulama became rulers and merchants, was the main concern of its rulers. This will be discussed later. Here, what is important to stress is that Islamization, state formation, and commercial development in the archipelago were closely interwoven, forming a major feature in the historical process of the cultural and political formation (Abdullah 1989: 18; Reid 1979: 391-41). Its geographical and climatic conditions had predestined the areas to engage in maritime trade throughout its history. Situated on the edges of the opposing wind systems of the Indian Ocean and the China Sea, various states in the archipelago had acted as intermediaries in intra-regional commercial development (Meilink-Reolofsz 1970: 138). Hence, the changing pattern of trade since the thirteenth century became a determining factor. Having been directly involved in the long distance trade, some areas of the archipelago experienced an intensive Islamization concomitant with its increasing political power. In long distance trade, the movement of people proceeded not merely in economic terms, but also in cultural and political formation (Chaudhuri 1985: 3; Dalton 1975: 63-132). Viewed as such, Islam formed an inherent part of the formation of the kingdoms, and in turn the establishment of their cultural and political systems. And the ‘ulama formed a leading social group presiding over the courts. Further to advising the rulers, the ‘ulama contributed to strengthening the kingdoms’ performance of Islam. Yet, it must be stressed that the central role the ‘ulama was also to be viewed in terms of the longstanding political culture of the archipelago, which viewed the ruler as the centre of every aspect of life (Heine-Geldern 1956). The ruler was not only regarded as the sole owner of the kingdom’s territory and its subjects, but was also believed to be like a Buddhist enlightened being, the bodhisattva, who “renounces nirvana in order to remain in this world and to assist the spiritual liberation of his fellow beings” (Milner 1983: 31-2). In reference mainly to the Malay world, the raja was regarded as embodying the existence of the state (kerajaan), and the people described themselves as living under a particular raja (Milner 1983: 31; 1982). It was in this framework of kerajaan political culture that the early modetranslation of Islam in the archipelago proceeded. Central to the formation of the kingdoms was the formulation of a political ideology that corresponded with the increasing number of Muslim subjects living in the areas. As a result, the raja-centred view of kerajaan politics formed a cultural basis for the formation of Islamic intellectual discourses throughout the period, as I will discuss as follows.